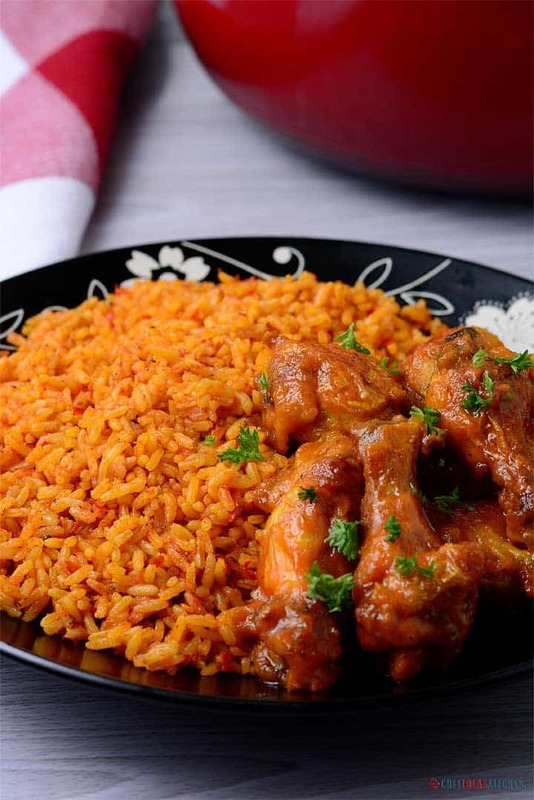 This meal is one of the most common West African dish eaten in the regions of Nigeria, Ghana, Togo, Senegal, Gambia, Mali, Sierra Leone, Ivory Coast, Cameroun, and Liberia. However, each of these West African countries has their own variation of this meal. 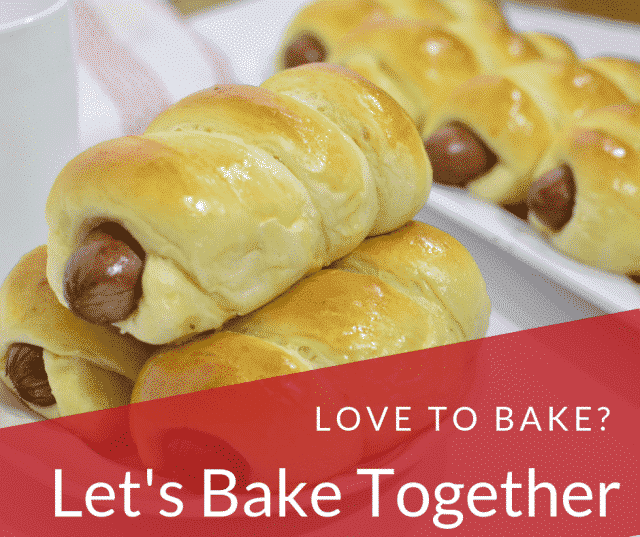 It is inexpensive and easy to make yet, delicious. 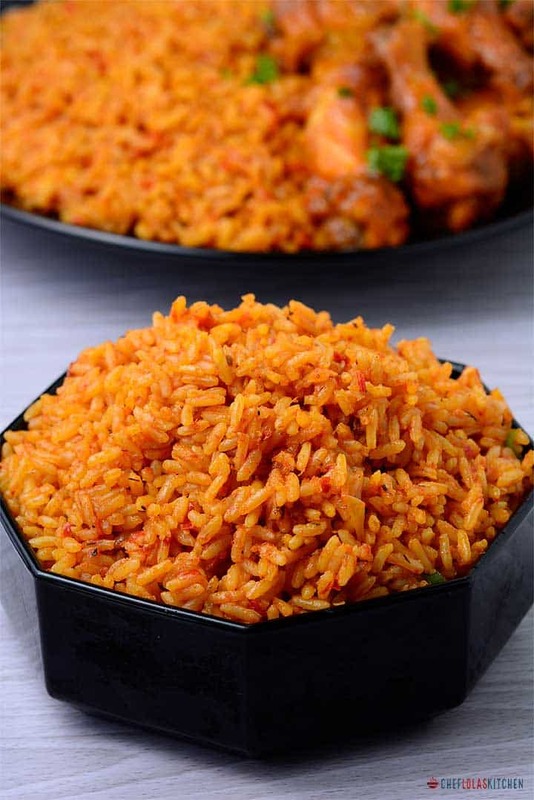 We usually serve Jollof with Chicken, Turkey, Beef, Goat Meat or Fish and sometimes with a side of fresh creamy Coleslaw. 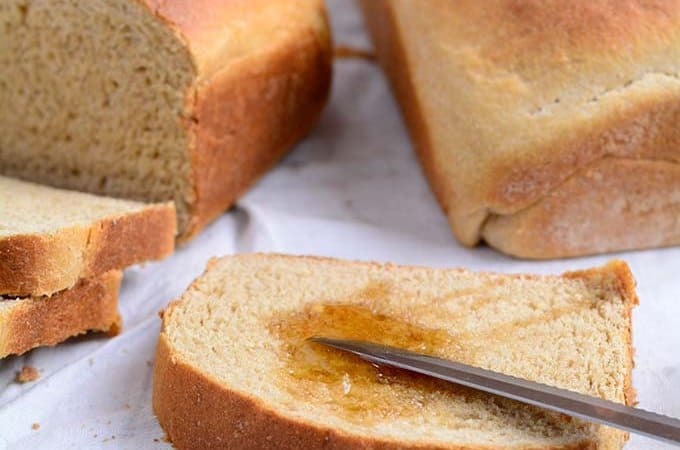 In west Africa, a party such as a wedding ceremony or a naming ceremony is not complete without this meal. It is a sure party pleaser. When cooking Jellof rice, building a flavor base is very important. Don’t be in a haste to dump your ingredients in the pot otherwise, you will end up with what we call ”concoction”. Each step counts so try to do each of the steps in details. The inevitable foundation for building up the flavor in this meal is to start by sauteeing the Onions. This should take about 3 to 5 minutes. The next thing is to stir in the Tomato paste. This adds a deep and rich tomato flavor; I simply fry this for another 5 minutes or thereabouts. The Ginger and Garlic are then added and cooked along with the Tomato paste for another two minutes; Actually, by the time this ready, you will notice it in the smell. If you keep it cooking any longer you might risk burning them. Next, I add my blended peppers. Usually, there is no particular time frame for frying this pepper. I usually stop when the sauce becomes really thick and the oil literally floats on top of the sauce. At this point, most of the water is gone and the sauce no longer smells raw. Trust me you will know but just in case, you are still in doubt, I would say maybe 20 to 25 minutes depending on the quantity of water in your blended pepper. Finally, in building my flavor, I add the Thyme, Curry powder, Salt, white pepper (good but optional) and seasoning cubes. Adjust the seasoning at this point if there is a need to. Once the flavor is on point, then, I stir in my Rice. 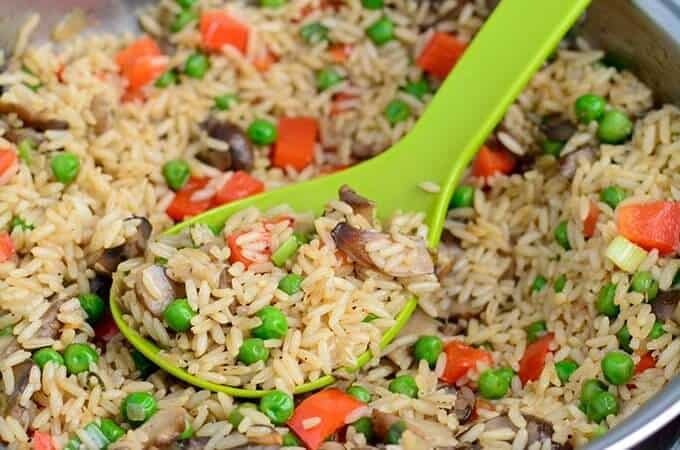 Make sure you stir the Rice properly until you cover each grain of Rice with the sauce. Now add the chicken stock. Give it a brief stir and cover it up with a tight-fitting lid. If your lid is not fitting enough, simply cover the rice with a foil paper before covering it with the lid. 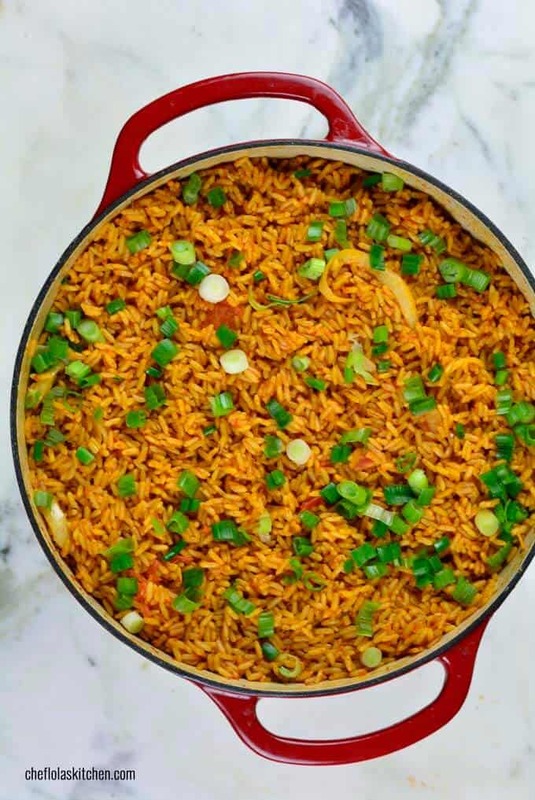 This is because Jollof needs a lot of steam in order to turn out well. Once, the rice comes to a boil, reduce the heat to medium-low immediately and continue to cook until the rice is done about 20 to 25 minutes. 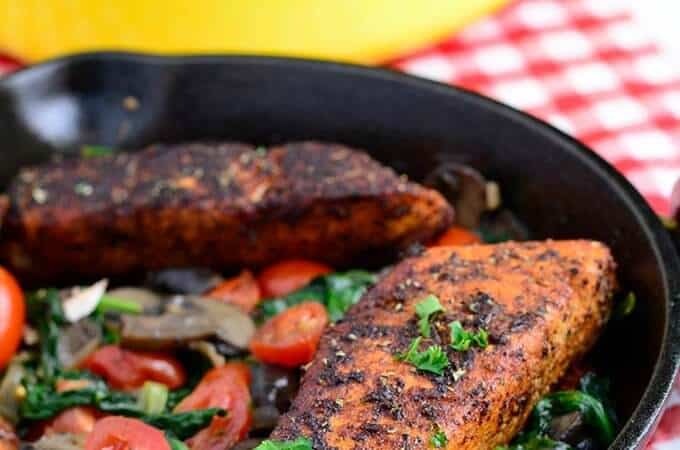 Serve with Fried Chicken, Spicy Grilled Chicken, Grilled Tilapia Fish or Gizzards and plantains. 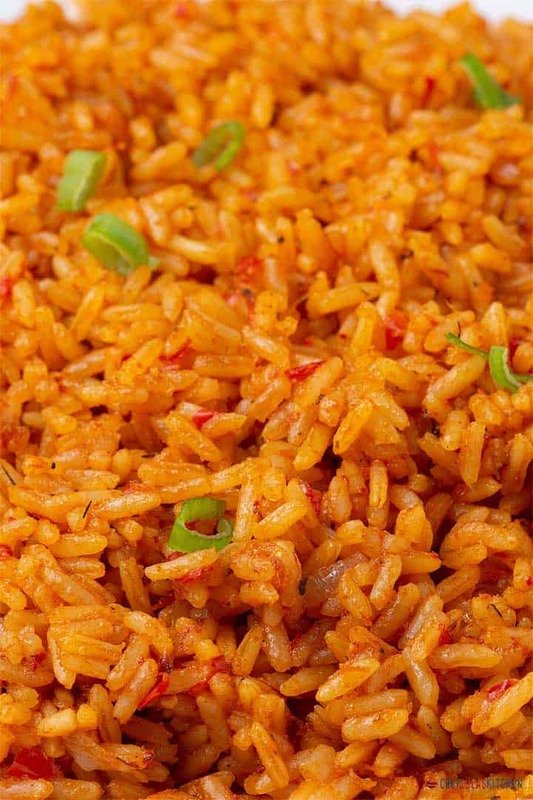 My final thoughts on making a great Jollof Rice. 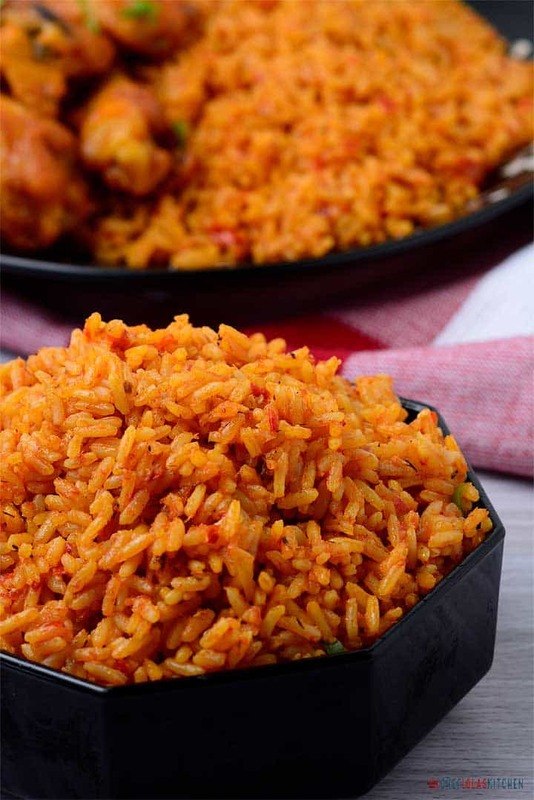 Jollof Rice or Jellof rice is a rich and incredibly tasty west African one pot Meal. It is usually made from scratch using Rice, Tomatoes, Pimento peppers, Tomato paste, Onions, Salt, and other spices. This meal is one of the most common West African dishes. However, each of these countries has their own variation of this meal. In a large pan, preheat the cooking Oil. Once the oil is hot, add the diced onions and fry for about 3 to 5 minutes or till the onions become soft. Add the Tomato Paste. Fry for about 5 minutes, then add the Garlic, Ginger and bay leaves and let it cook in the tomato paste for about 2 minutes. Add the blended pepper and allow the pepper to cook until the water is reduced entirely and the oil is seen floating on the fried pepper. Season with Thyme, Curry powder, salt to taste and seasoning Cubes. Leave to cook for another 2 to 5 minutes. Stir in the Rice until it is well coated with the sauce. Add the Chicken stock and cover it with a tight-fitting lid then allow it to come to a boil. 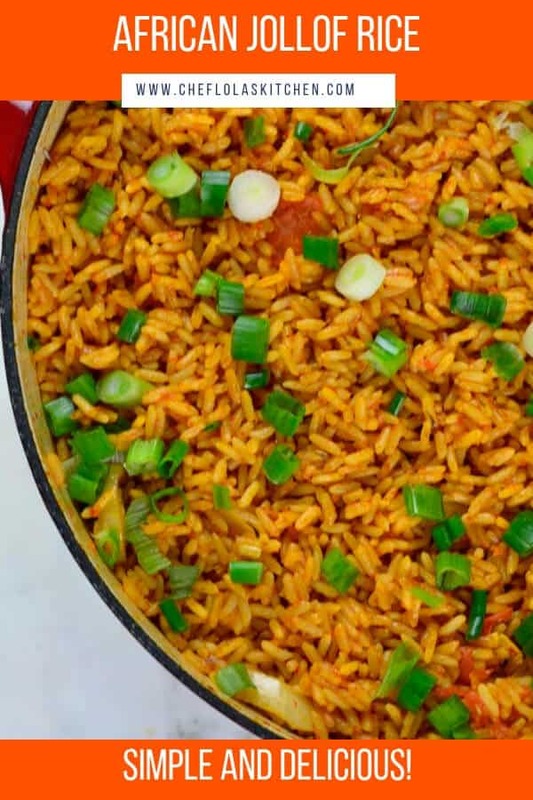 Once it starts boiling - about 3 to 5 minutes after placing it on the stove, reduce the heat immediately to medium-low and steam until the rice is done. Turn off the heat and add the sliced Tomato and Onions, and stir together briefly. Then, cover it up immediately so that the heat remaining in the Rice can steam up the vegetables a little bit. 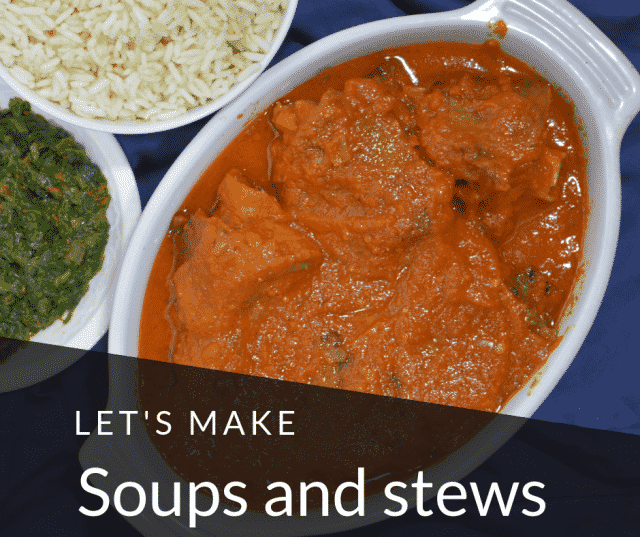 You can serve with Plantains, Chicken, Vegetables or as desired. ENJOY! Normally, the bay leaves should be removed once the rice is done. However, if you can’t find the bay leaves after the rice is done, don’t be tempted to dig through it since over- stirring will cause the rice to break. Just leave it and remove it whenever you find it. Wow! 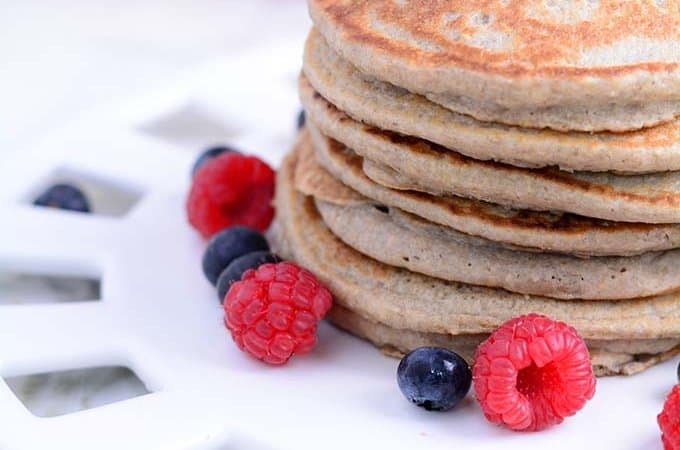 Yummy Yummy. Great tips. Thanks as always. I will definitely give this a try. Sure Sade, I will like to know how it turns out. Thank you very much ma for this detailed recipe n procedure. I have 2 questions ma. HI Sadare, you are welcome. First question: I always use the standard American measuring cup for all my recipes except otherwise stated. 1 standard measuring cup is not the same as the Milk Tin. It is approximately 185g. Second question: I’m sorry for the mix-up. The type of Rice I used is the Parboiled long grain rice. I did not parboil it. If you live abroad, you will find it labeled as parboiled long grain rice. I have added a short note to clarify that.